Margaret Vander Heiden was the pillar of Lanherne. 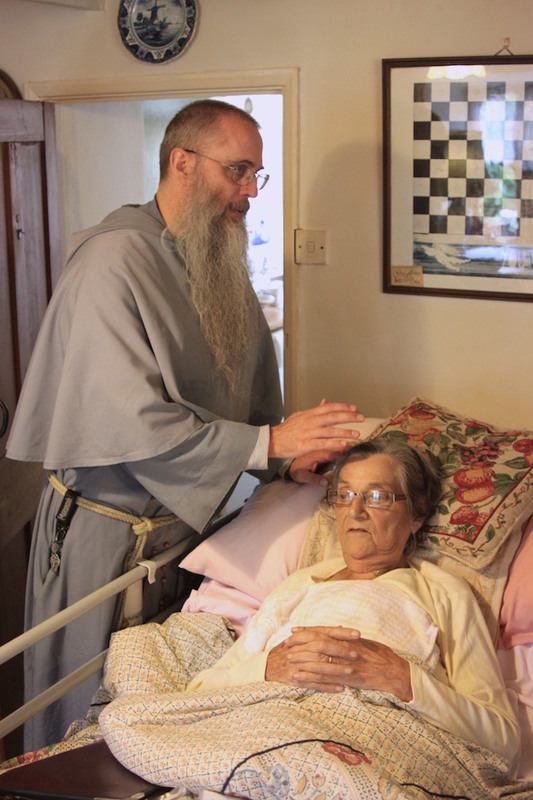 She had worked with both the Carmelite Sisters for many years and then after their departure with the contemplative community of Franciscan Sisters of the Immaculate who took of up the flame of Catholic religious life in this center of the Faith in Cornwall. I have received news that she passed from this life to eternity on All Hallows Eve. May she rest in peace. With the Saints, let us intercede on her behalf and that of the Holy Souls. Lanherne was Margaret’s life. She was attached, in the best sense of the word, to the place and to the people who cared for it and came there. 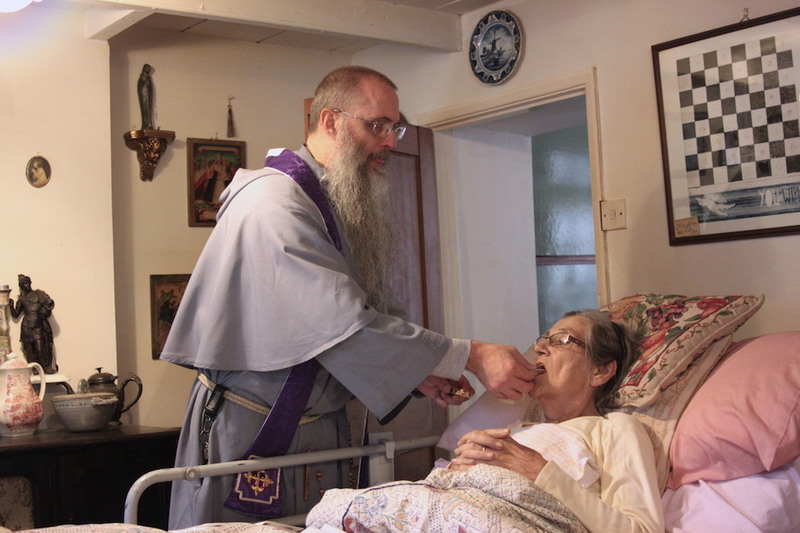 She served the sisters, the chaplains and the visitors selflessly which her Dutch accent, English manners, Cornish hospitality, and very Catholic sensibility. 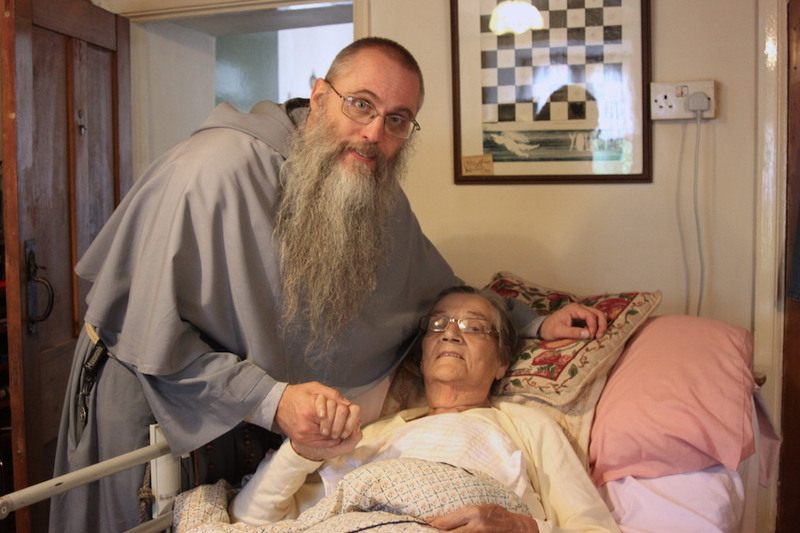 Those of us in who were in Lanherne when she came to know of her terminal illness were edified by her peace and joy and in the way she freely spoke of her imminent passing and the opportunity that was being given to her to be with Jesus. Her concern was more for her family and those who were being left behind. This entry was posted in Catholicism, Church and tagged Cornwall, Lanherne, Margaret Vander Heiden by Fr. Angelo M. Geiger. Bookmark the permalink. Lovely prayer, Inkstain. Ideal words to remember when the crosses here on earth seem too heavy to carry. Pax. Sorry for your loss, Father. A beautiful eulogy. She sounds like someone who could easily be seated right next to St Andre Bessette in the audience before God. 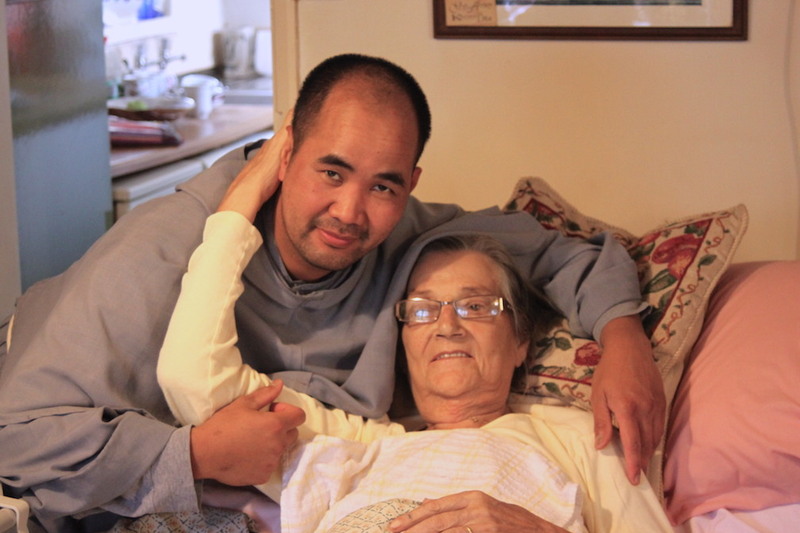 We had met Margaret on our visits home, a woman of a generous Catholicism. May she rest in peace and she will be in our prayers.